Rules: basic rule remains the same, choose UP/DOWN/SIDEWAYS if you think BTCUSD will go UP/DOWN/SIDEWAYS in the next minute. The more correct choices you have, the higher chance that you can win. 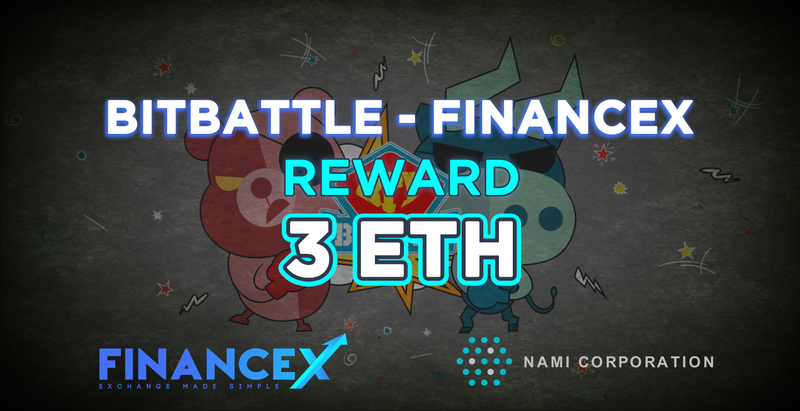 Reward 3 ETH will be awarded for top 3 person on the leaderboard. When you use up your 2 free tickets, you can use 20 SPIN to buy a new one and retry. The system will record your highest performance only. Rewards will be transferred directly to winners’ BitBattle wallet and can be withdrawn anytime. If the winners fail to show evidence that they meet all the requirements, the reward will be terminated.